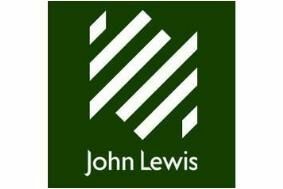 HOT DEALS: John Lewis clearance sale starts today | What Hi-Fi? Offers on electrical items include a Linsar FHDF1 or a Metronic 441830 Freeview+ HD digital receiver for £79 each, a John Lewis JL26 LCD TV for £249, or a Philips 42PFL5604 LCD TV for £529. The Sony KDL-55X4500 is reduced from £4999 to £1999, although stocks are limited. Among the audio offers you'll find a host of discounted iPod docks: the Yamaha PDX-50 wireless dock for £99, an Edifier Breathe for £115, Edifier Luna 5 Encore for £99, and a Gear4 StreetParty at £34.95. For your smartphone or MP3 player, upgrade the standard 'buds with a pair of Pioneer's SE-CLX40 in-ear headphones, now just £29.95. And the Roberts Robi DAB/FM adapter, which plugs into your iPod to turn it into a digital radio, is reduced from £50 to £33. Further offers available in the clearance sale in stores and on the John Lewis website.